Many factors go into planning for an estate, preparing a will, separating assets, managing funds, etc. These complicated issues don’t come up until you reach a certain point in life. Unfortunately, this usually happens to be the same time when people are start to consider senior living—and one of the important roadblocks to work through is financial and legal planning. Most people don’t the have experience to handle this process alone. 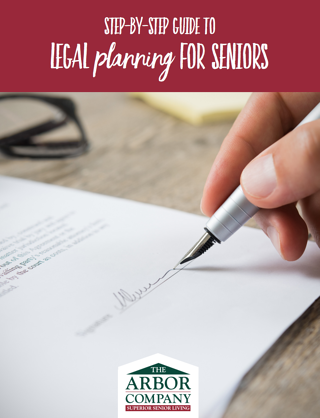 This guide will help smooth out the process of legal planning. Use the form to download your e-book now!